After the attacks on 11 September 2001, Apache units made significant contributions to the Coalition campaign against Taliban and al-Qaeda forces in Afghanistan. Functioning as the 'killer' part of US Army Hunter-killer teams, Apaches sought out and brought overwhelming firepower to bear on Taliban and al-Qaeda forces, as well as providing direct support to Coalition troops on the ground. Apaches spearheaded the advance of the 3rd Infantry and the 101st airborne divisions into Iraq, engaging in some of the heaviest fighting along the western axis of advance. 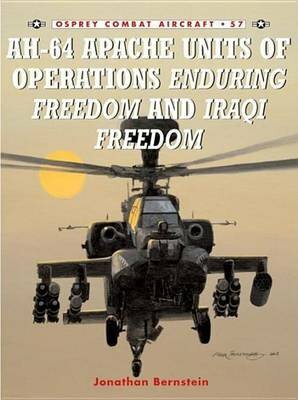 Weather and enemy fire took a heavy toll on Apaches operating in Western Iraq, but the resilience and flexibility of the Apache was central to the success of this campaign.